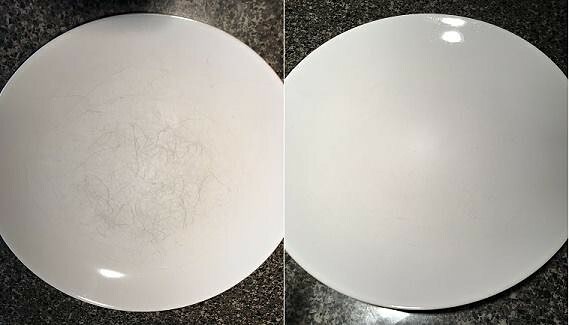 If you’re thinking of replacing your dishes because of those ugly black marks from years of use, think again! 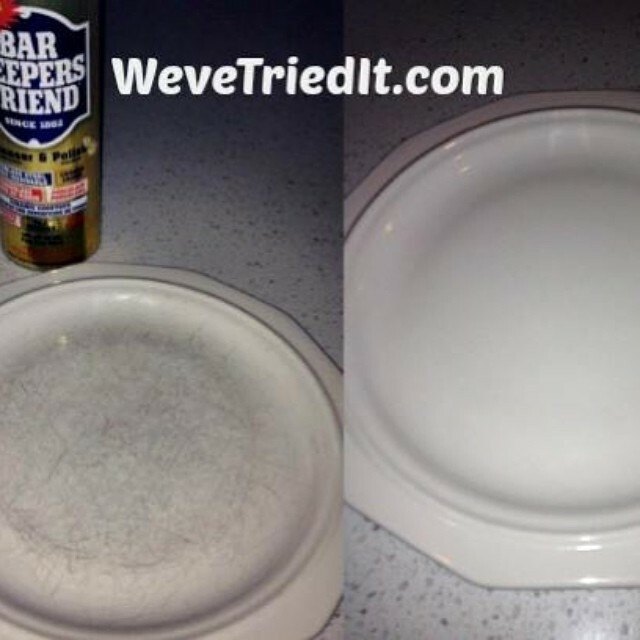 Give Bar Keepers Friend a try. 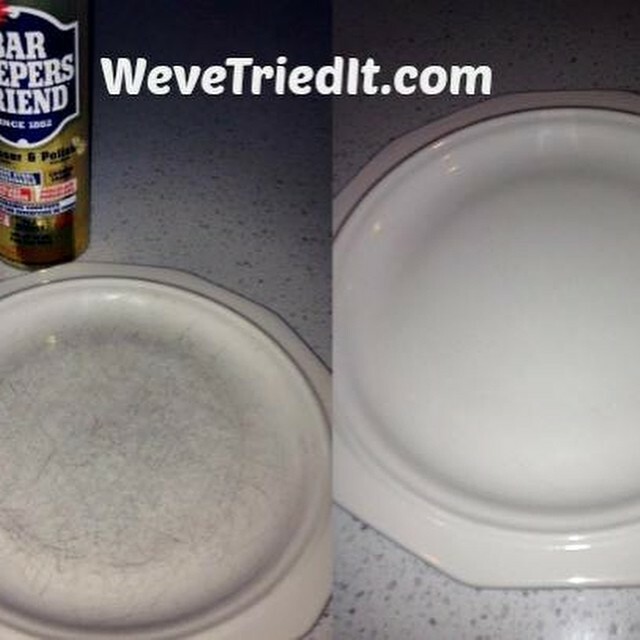 BKF can get rid of those unsightly black marks, so you won’t need to get rid of your dishes. 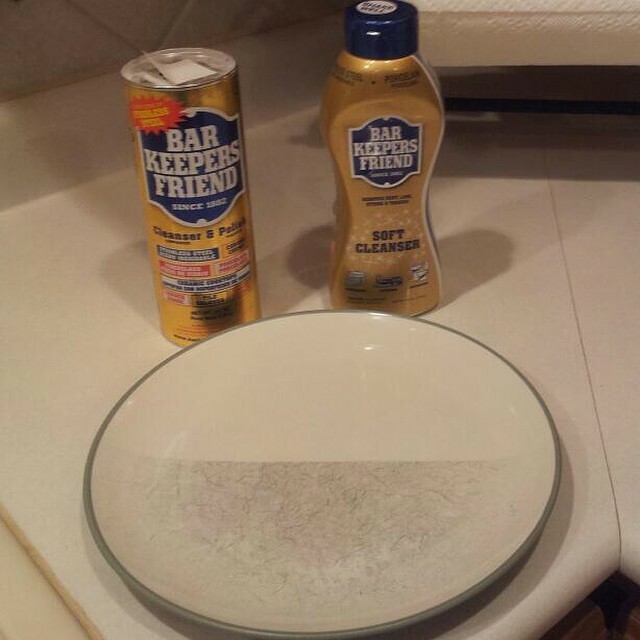 Spruce up your dish set with BKF and save your dollars for more important things. 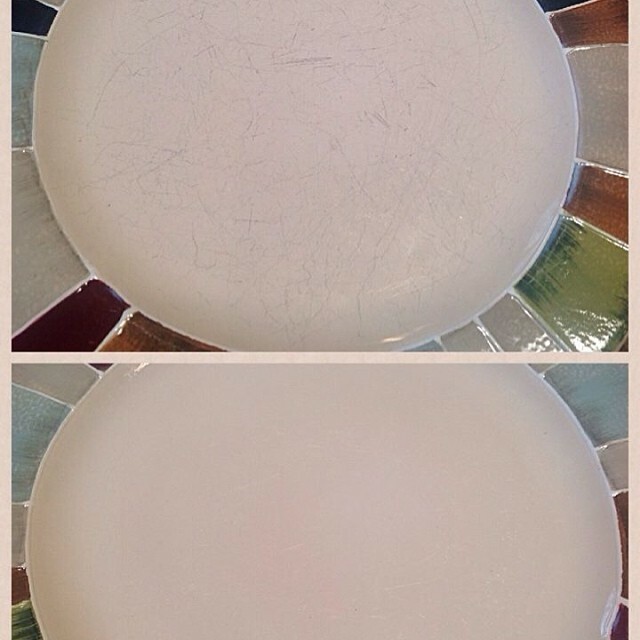 Download our easy-to-follow guide on how to remove black, metal marks and stains from your plates. 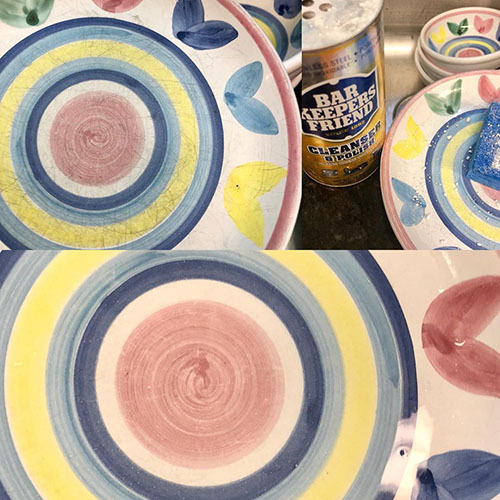 When I got married many years ago I invested in a set of @pfaltzgraff dishes because I knew they would last. 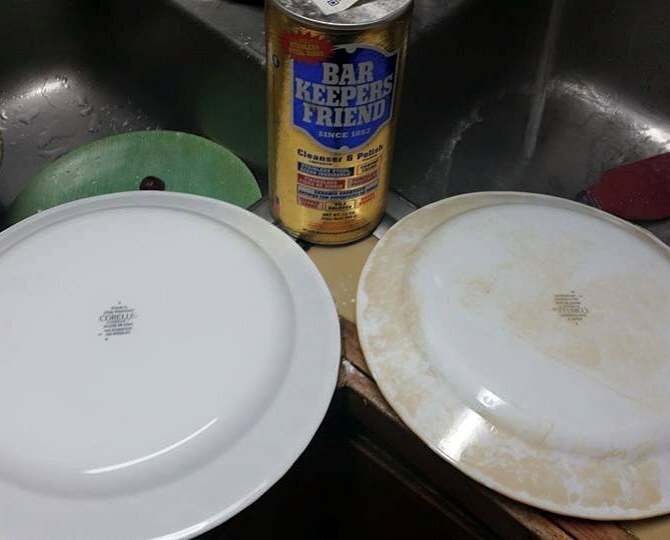 They've held up beautifully through two children, a rowdy husband, and countless breakfasts, lunches and dinners but got very scratched over the years. 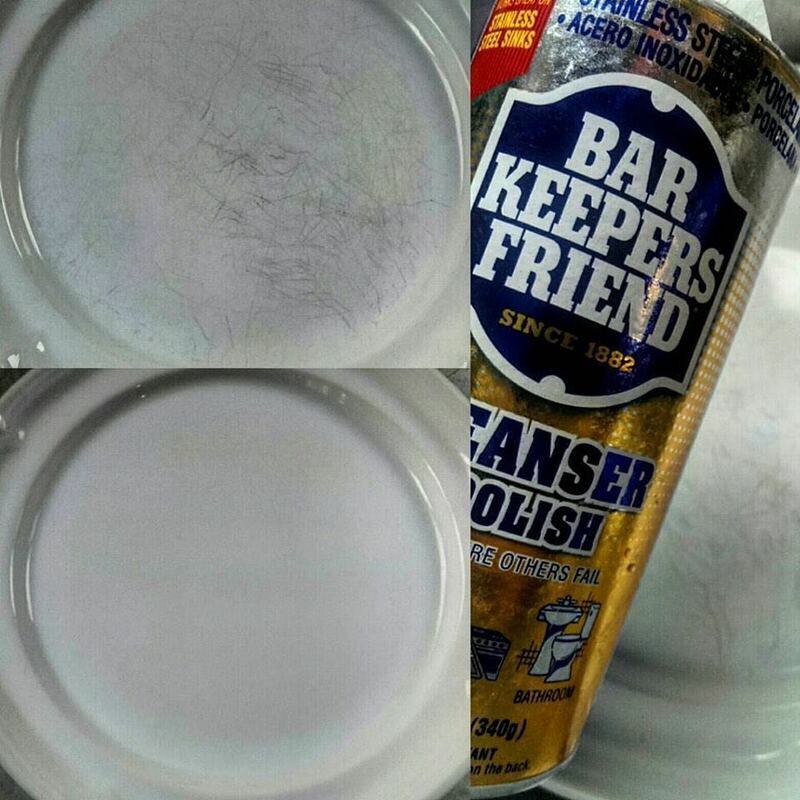 I searched Pinterest for a way to remove the scratches without damaging the finish, and found Bar Keeper's Friend as the most popular suggestion so decided to give it a shot. 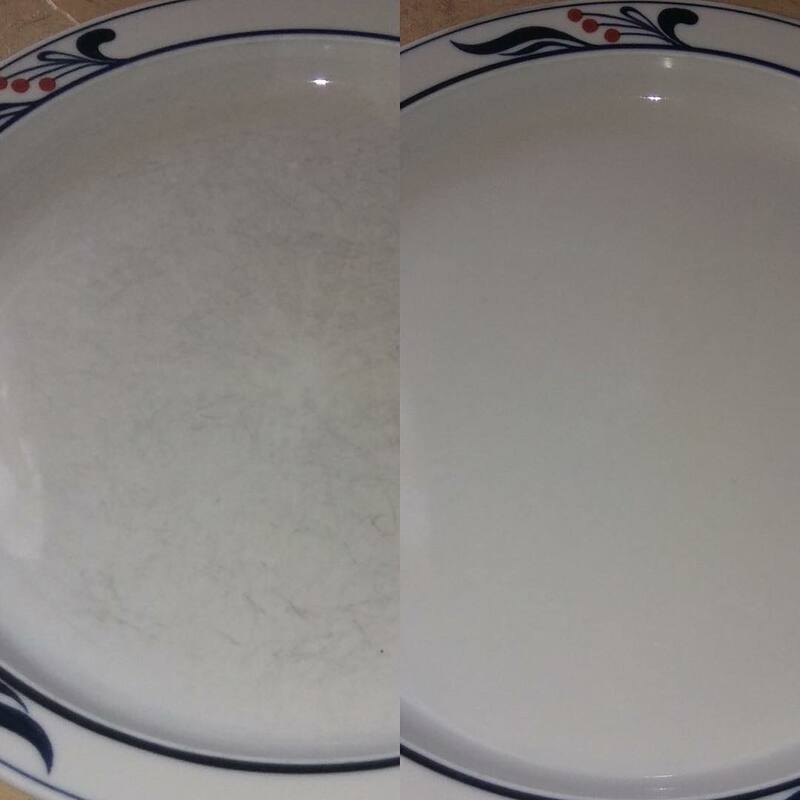 Just a small amount with a little bit of water and light scrubbing worked wonders! 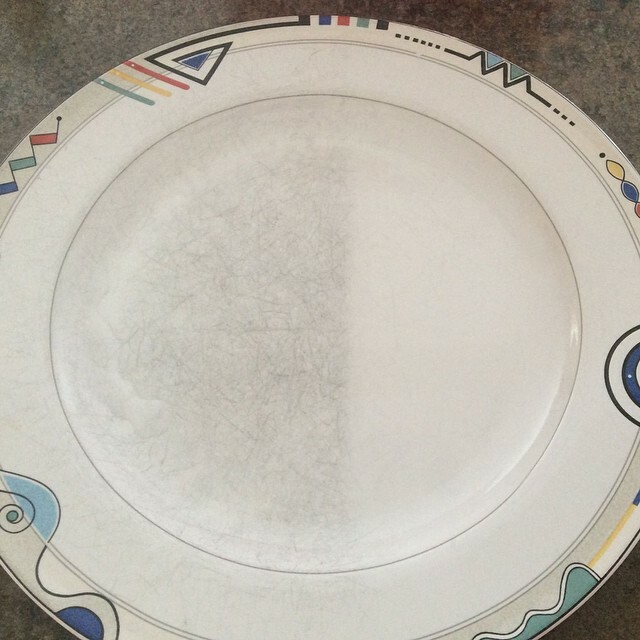 Anybody H A T E the marks some flatware can leave on lighter dishes?? Enter: @barkeepersfriend to save the day. 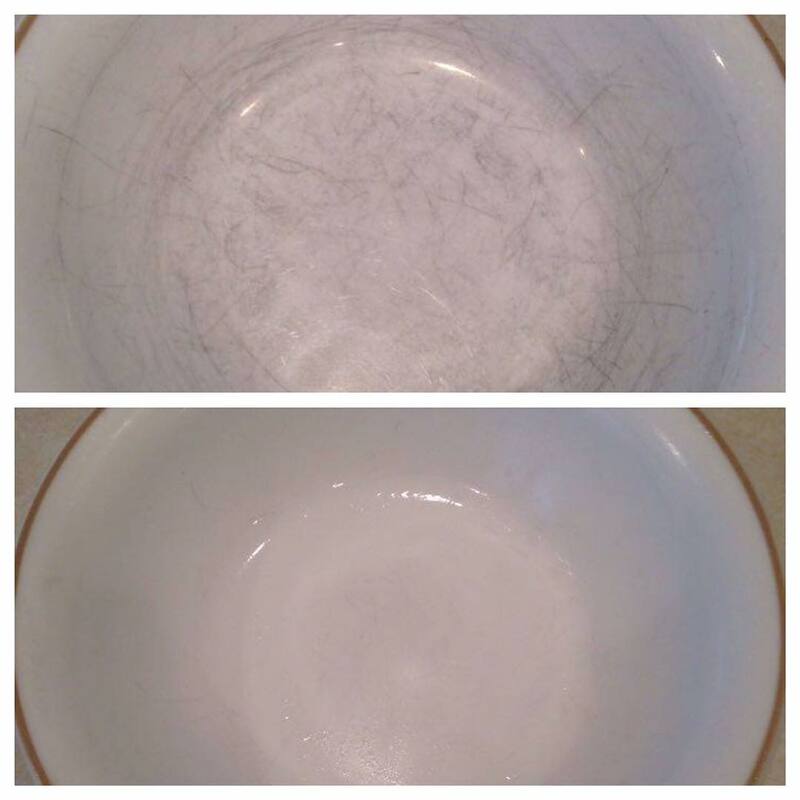 Add the powder, and use your muscle to scrub with a damp sponge or paper towel.